Groceries, Clothing, Souvenirs, Pharmacies, Hardware...What you're looking for is probably here somewhere! 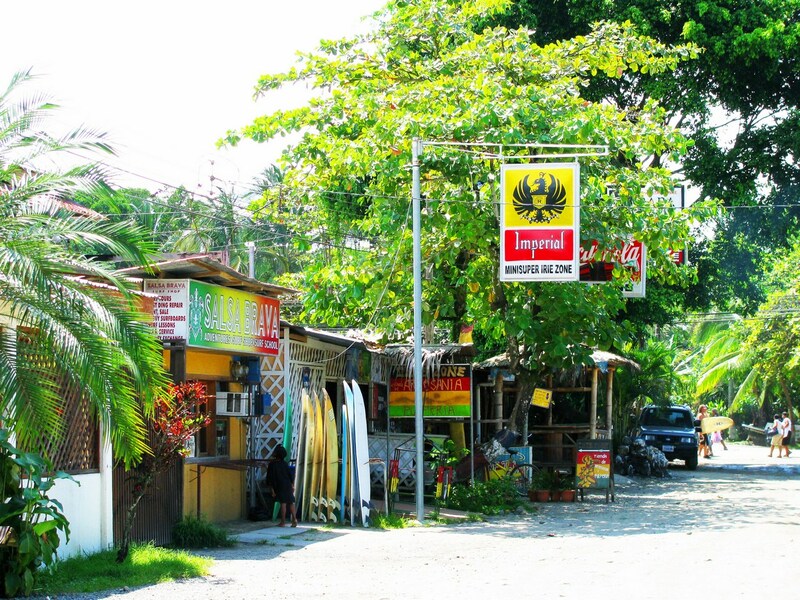 It seems like there's a new store opening every week in Puerto Viejo. There are places to buy gifts, groceries, liquor, crafts, books, stationary, clothes and more. This is not a complete list. If you're looking for services like tours, transport, real estate, spa & massage, yoga, schools, medical etc head over to our services page. Natural handmade cosmetics at its best. Proudly made in Costa Rica. 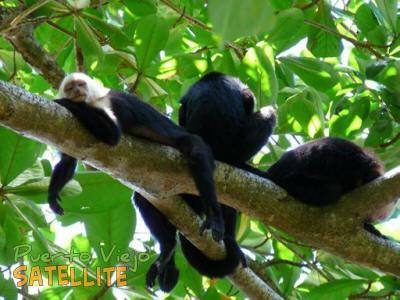 Visit them at the Puerto Viejo Saturday market from 6am to 12pm. Weekly farmers' market of local produce and other products held every Saturday morning. Come early for the best selection! 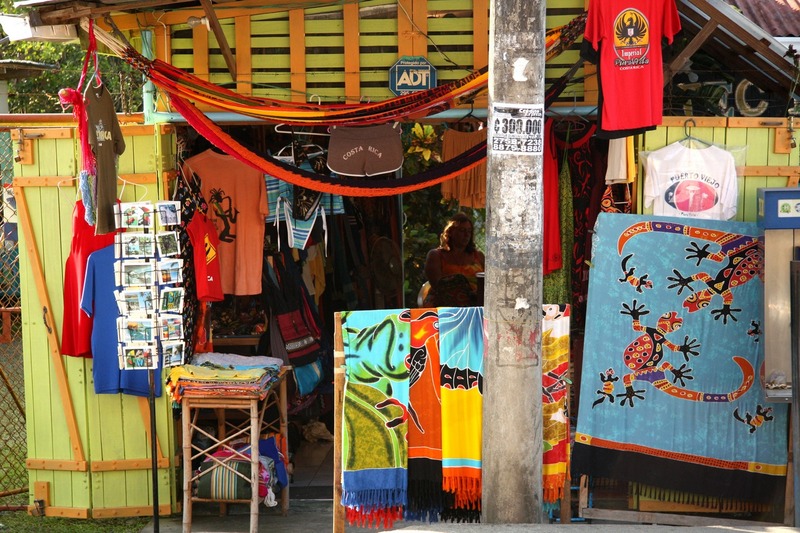 Art & Craft Market with all products made by local artisans and artists. Entrance to the right of the Casa de la Cultura. Open Friday to Sunday during high season, Saturdays only during low season. Natural products for baby, skin and hair. Cell phone and computer accessories and repairs. Office supplies. Copies. Liquor, beer, wine and groceries. Open late. Arts, Crafts and Gifts. Textiles, clothing, jewelry. Most locally made. The largest of the supermarkets in Puerto Viejo. Now expanded into a much larger building. Pharmacy and sundries. Phone cards and GSM cell phone sim cards. Hardware store and building materials retailer. Organic, local, artisanal & natural products. Juice bar. Supermarket with a particularly large selection of beer and liquor. Local store for the area. Serves locals and tourists. Groceries, beer, wine, fruits and veggies, meat, souvenirs. Supermarket with an excellent selection of gourmet groceries. Bicycle rentals. Barber shop. Grocery store, locally known as Jeffrey's after the owner. Help! We're a group of musicians from the US who are going to be vacationing in PV in February 2019. Anybody know anyone there with an upright bass that they might be willing to rent us for a week? Bringing a bass when we are just coming for fun, not for gigs, is too much expense and hassle, but we'd sure love to have one to play while we're there! Is there anywhere in puerto viejo i can buy yarn or stuff for crocheting? Someone sells glasses in Puerto Viejo? Are there a shop selling glasses in Puerto Viejo or should I buy these in San Jose? Is there anywhere in PV area to buy snorkel equipment. We are deciding if we should purchase our own (adults and kids) and bring it or if we can buy it down there . I would actually rent it while you are down there. I've been to P.V. 4 times (5th trip coming in December) and have never had a problem with finding snorkeling equipment. Save yourself the packing space for travel and the money while you are there..
No mention of the farmers' market? Que verguenza. Thanks for pointing out the oversite Fletcher. The farmers' market is great and I've gone ahead and added it to the map. If you see anything else missing, feel free to add a listing for it. Keeping the site up to date and complete is a community effort!